Endress+Hauser has introduced the Liquiline CA80TP phosphorus analyser for monitoring industrial wastewater, and inlet and outlet streams of municipal wastewater treatment plants. The CA80TP uses a thermal digestion technique along with colorimetric analysis, requiring only a small quantity of reagents. With online measurement there is no waiting for time-consuming lab analysis. In most industrial and water and wastewater plants, phosphorus measurements require that a technician pull a sample manually and take it to a lab for analysis. With the CA80TP, the phosphorus measurement is performed on line, as accurate as a lab analyser, and much less time consuming. The CA80TP measures phosphorus in ranges of 0.05 to 10 mg/l or 0.5 to 50 mg/l. 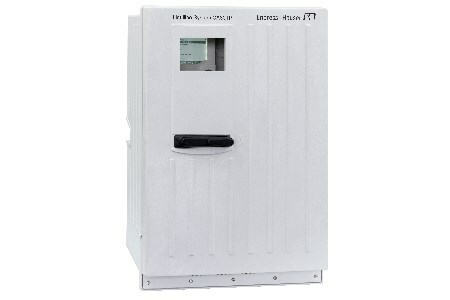 It has two 4-20mA outputs with the option for additional outputs including Modbus RS485, Modbus TCP and EtherNet/IP. The 4-20mA outputs transmit the phosphorus measurement value. The other outputs can be used to transmit the process variable, plus status and diagnostic information. Phosphorus occurs as phosphate in natural water systems and in wastewater. Phosphates enter the water from fertilizers, biological and industrial waste and wastewater—and from substances added in water treatment for corrosion protection. To determine total phosphorus, a sample must be digested. Samples are drawn from the process using a suction strainer or can be taken from a bypass piping system using an Endress+Hauser Y Strainer. A precise sample volume is digested at high temperature with a digestion reagent. An optical dosing unit, used to dose sample and reagents, uses a redundant light barrier for a high level of reliability, guaranteeing precise and reproducible results from extremely small volumes of reagent. The temperature in the reaction vessel is kept constant to ensure complete digestion takes place within a short period of time. The CA80TP has a software-controlled safety cover to prevent access to the digestion reactor when it is under operation. Following digestion, the sample is mixed with colorimetric analysis reagents, causing a characteristic change in the sample color. A photometer measures the level of absorption by the sample at defined wavelengths. The analyser can be equipped with an energy-efficient cooling system to maintain reagent quality and increase lifespan. Automatic cleaning and calibration functions ensure the analyser works reliably and without manual intervention over an extended period of time. If disturbances should occur, advanced diagnostics with remote access help plant personnel analyse and remedy any issues quickly.